When it comes to Banksy art, everyone is a fan — includuing some of your favorite musicians. 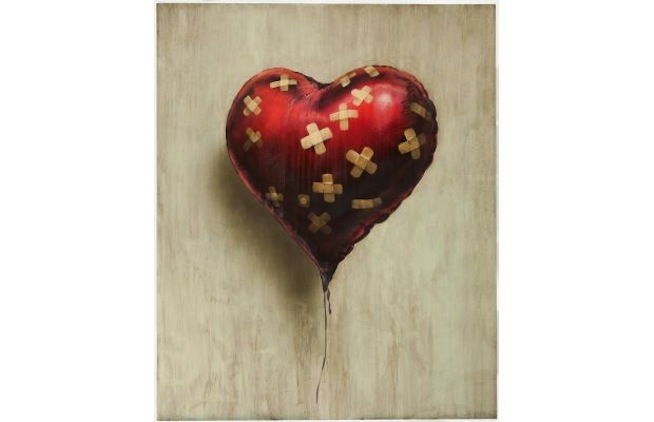 During a recent charity auction held by the actor Sean Penn, a version of Bansky’s “Heart Ballon” (created during his Oct. 2013 NYC residency) was purchased by Coldplay frontman Chris Martin for a whopping $650,000. Peep the piece above, and let us know if you think it was worth the price.